I live in a tragi-comedy. Yesterday afternoon, as I was hobbling on my crutches, along the footpath towards my front steps, I was forced to "step" out of the way of a weaving drunk man. Before I realised it, I had apologised for being in his way. He took a huge faltering step towards me and asked if I needed help. "No, I'm fine. I'm pretty good on these" (indicating the crutches). Slurring, he says "Here I can help you"
No, I'm right thank you, I respond a little more firmly. He stumbles about 5 steps from me, unzips and proceeds to urinate on my neighbours front path! This morning I decided that grey hair is not for me yet – especially now that I am a bit more mobile. Hello, can I make an appointment for next Saturday to have highlights done. I'm not here next Saturday. Oh - is the salon closed? No – It's open but I'm not here. Oh – well can I make an appointment with someone else? Me (confused) – can't I make an appointment today for next Saturday with just anyone? Ask her when you call on Tuesday. WTF? I'm trying to be supportive of my local business but really this just makes me really suss about the whole place. Maybe it is a front! I went down the deck steps into our little courtyard this morning for the first time in 6 weeks. The roses are still blooming and I wanted to take some photos of them. As I'm happily clicking away I notice a guy appear in the alley and start to urinate on a garage door across from us. He sees me and starts shouting out "sorry lady, sorry lady" as he finishes and packs himself away. Drug deals, public urination and a business that doesn't want my business – I've got it all. Oh, but I do have some nice roses!! I had that exact same phone call once – but not with a hairdresser. do you have arms of steel yet from using the crutches for so long? Thank you Pat … still a few buds to open. I was pleased to find them because I had missed most of them because of my foot/ankle and not going outside for most of the summer! Makes you wonder what sort of "customers" they want …….. LOL – my arms and shoulders are looking good! Crutches even work the abs you know! (though I might need a few more months of use for that area). Thanks Beauty…. it is sort of funny. There is certainly something to look at every day in my neighbourhood. Lovely roses. All this outdoor urinating is awful. Men are so strange. I caught my landlord peeing off the office back steps. He has a restroom in the office. Men I swear a whole different species. snerk*Glad you are getting around some. Thank you re the roses. Yeah I don't get why men do this either! You never see a woman just squatting down where-ever! OMGoodness!Any chance the drunk was answering the phone for the hairdresser?That sux about the appt — how crazy to not help a potential client!And two guys wetting near you? that's just creepy. 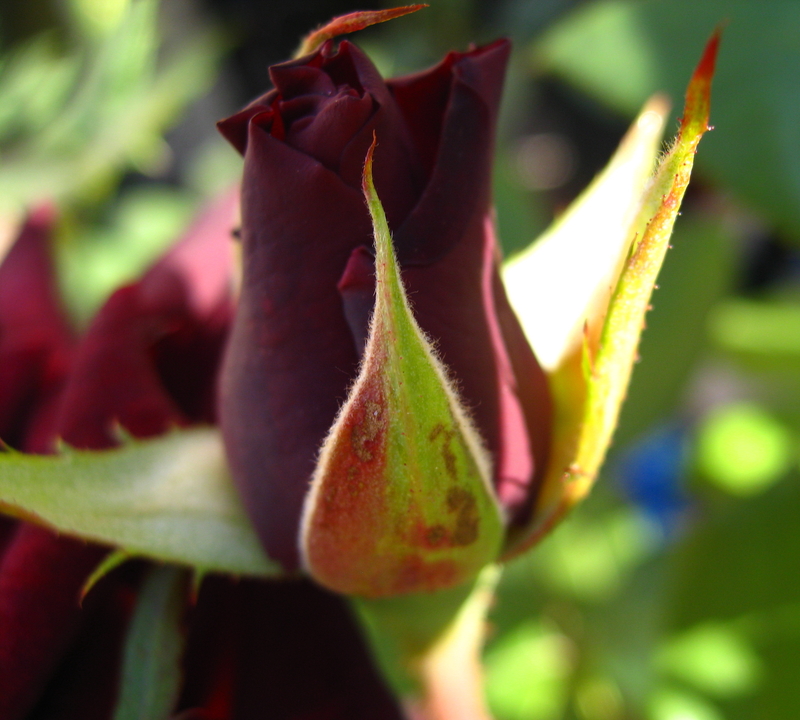 Are they "marking" your house as tpart of rheir territory?Hooray for hair dye……those roses are GORGEOUS!!!!!! Well, of all things! These days, dogs are more well-behaved!!!!! 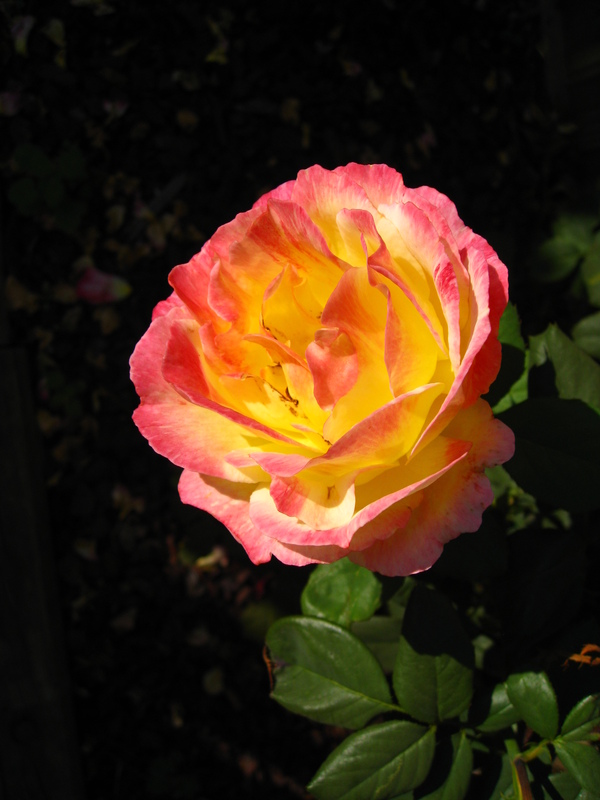 Thank you for shareing lovelly roses with us at the end of the story! Your roses are very nice. Don't they use animal urine for fertilizer? Hmmm…That phone call is nearly unbelievable! Did you make that up? You do lead an interesting life Emjay. LOL And on top of that, you do have some beautiful roses – love the detail in them. Next time someone pees in public, just go Aussie feral on them with a loud "Oi!" Sometimes humanity makes you wonder… I have been wondering a lot lately. But at least you were able to get out and "smell the roses". Mine are all gone. One of the minuses of living in the northern climes. But with the weather hitting 70 this weekend, the mums are gorgeous and the fall color is magnificent ( one of the benefits! )And hairdressers? That is one reason I color my own, and have a barber do my cuts. Yes they are really beautiful Roses_ however you said it was a transition neighborhood what is the transition too??? you would have more fun running wires all over the neighborhood and when you see them peeing flip a switch to electrify the wires like the electric fencers used on the farm record it and put it up on U-Tube lots of viewers! Well, you have to love a great flower pictoral balanced with a good peeing-in-a-public-place vignette. LOL! That drunk bloke cracks me up. Hey, he was semi-helpful right? And the salon thing, what the?! Maybe they wanted to hog certain clients for themselves. Sounds like you had a series of incidents that sometimes accumulate into what I would call 'a bad day'. Well, your community must need more toilets and hair salons with all these men peeing everywhere and the apparent lack of competition for business! Beeaaauuuttiffull roses! Could never grow them here properly! are they urninating on the roses – is that why they are so beautiful? I would take that as fair wanring to choose another hairdresser if I were you – the universe is warning you – welcome to the world of foils to hide the grey!!!!! Oh my, you have quite the variety of flora and "Fauna"around your neighborhood.that second rose picture is lovely, tea rose? love the way those smell. Those people are very annoying…Maybe it was a not-very-good day for you..BTW, your roses are so beautiful!!! Yeah ours are still blooming too…glad you're able to get around more! LOL those drunks as "receptionists" at the hairdressers – now that's a creepy idea! I was so happy to see the roses there and still some buds to open! Yes – dogs can be better behaved! LOL. I have a pink rose and a white rose also but they were looking a little too wilted for a decent photo. Maybe I will look for buds on them tomorrow. 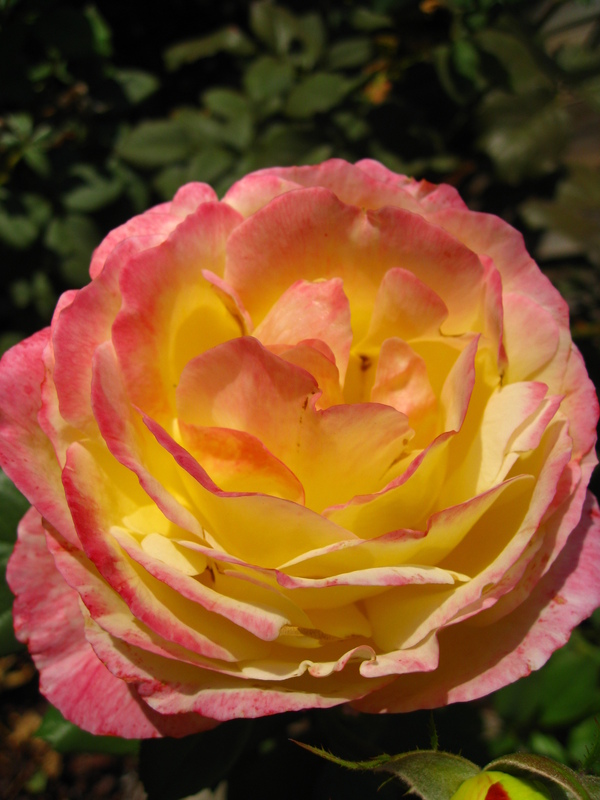 Thank you Gina – the roses seemed to have survived without any attention. Sometimes I wish for a boring day – LOL. LOL …. remember guns just became legal here in DC … I wouldn't want to antagonise anyone now. LOL …. I seriously hope to never see them in my backyard no matter how good their wee could be for my roses! I have geraniums which are still looking fabulous – I must photograph them tomorrow – we don't have much colour in the leaves here yet. I taxi through Rock Creek Park on my way to work and was noticing this week how green it still looks. LOL .. my brother once did that on the electric fence! Taxi drivers tell me that 5 years ago they would not have come into this area so I guess we have transitioned forward a bit. I love vignettes on life. At least my roses are growing on rose bushes not tomato plants LOL – now that was a funny vignette! LOL – yes I should look at it as a genuine gentlemanly offer! I laugh at the image of me accepting and how we would have been holding each other up! Wow – your customer service is like that? Here, where a lot of people "work" for tips they usually try a bit harder. LOL – yes he had old fashioned manners. I have to ask young sober men to open doors for me! Maybe the salon is making too much money to want another pesky customer! In these times I wouldn't think businesses could afford to turn people away. LOL. I am surprised that anyone can afford to turn away business at the moment. Oh well I am going to trek across town to my old hairdresser. I just thought I was doing the right thing in trying to support my local business. My mother used to grow wonderful roses – we have only lived in this house for a year so the previous owner is really responsible for these. LOL my wildlife! I'm not sure what type of roses they are – they were here when we moved in last year. Once they started to flower my mother told me to prune them back each time a rose died and they would shoot and rebloom and she was right! They are very fragrant – it's a nice corner in my little garden. Thank you – I have been lucky with the roses. Not so lucky with some of the people who live around here LOL. I think I overdid it yesterday with too much getting around! I am taking it easier today. LOL – challenging is a good word! Yes it can be …. but I think it is getting better. We have some real characters in our street. Also my spouse got quite a chuckle as I told him of your post. Tragi-comedy indeed! Knowing you, you probably laughed.Love the last picture. The light is amazing. These roses smell so good too! Sounds sort of silly but it really was a case of smelling the roses! Yeah – I bet you can't wait to come visit me now! LOL. LOL – yes I laughed about the weeing men but I was actually quite annoyed about the hairdresser – I really wanted to like them LOL. 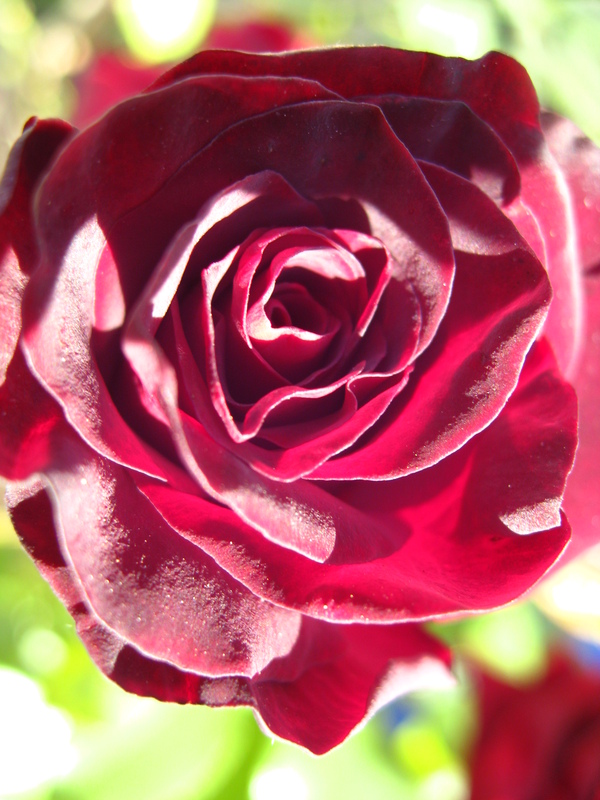 Thank you re the rose – it is actually a much darker red in "real" life but the sun was really bright. easy to do..then you realize I shouldn't have! Ohh but the rewards! LOL … I get quite a few laughs living here! Beautiful roses.. ignore the piss! Thank you – LOL – it adds "flavour" to my life!